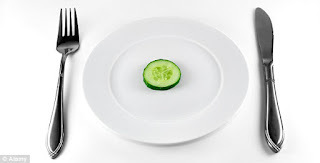 Starting Friday, May 19, I’ll be subjecting myself to a five day starvation diet, in an attempt to beat back the disease that is slowly but surely consuming me. In effect, I’ll be reducing my consumption of food to near starvation levels in order to stop my illness’s consumption of my bodily functions. Yes, I’ll be crossing the junction of function consumption. As I’ve talked about before on these pages, I work closely with a naturopathic doctor who is employed at my MS clinic. She's is one of the sharpest people I’ve ever met, and is a heckuva nice person to boot. She recently approached me with a rather radical idea, but one based on sound scientific research and her own clinical experiences – asking if I would be willing to try a Fasting Mimicking Diet (FMD), in which caloric intake is dramatically reduced for five days. I was already acquainted with research which demonstrated that such a diet had increased the lifespans of laboratory animals as much as 25%, and that it had the potential to positively impact chronic illnesses and even cancers as well. When my naturopath told me that she had seen some rather startling results in one of the first few MS patients she had convinced to try this diet, I was all in. The diet is designed and marketed by a company called Prolon (click here), which supplies five days’ worth of plant-based foods that provide nourishment while tricking the body into thinking that no food is being consumed. Thus, the name Fasting Mimicking Diet. During the diet, food consumption is limited to specially formulated vegetable broths, nutritional bars, herbal teas, and snacks (such as a few olives). Each day’s “meals” come in their own individual box, filled with packets of that day's allotted foodstuffs. The first day of the diet caloric intake is reduced to 1100 calories, and during the remaining four days this is further reduced to 800 calories per day. On day six regular foods are gradually reintroduced, starting with fruits, rice, pasta and other easy to digest items. For the rest of the month a regular diet can be resumed. Dr. Bates (my naturopath) would prefer me to try to stick as much as possible to a Mediterranean diet (low-fat, with lots of fish and veggies). In scientific studies, the FMD diet has been shown to promote and maintain healthy levels of a variety of inflammatory and regenerative markers. In an animal model of MS, FMD reduced inflammation, suppressed autoimmunity, and promoted the regeneration of damaged nervous system tissues (click here). The diet appears to stimulate the body’s own stem cells. While all this sounds terrific, what really sold me was Dr. Bates telling me that she had seen verifiable improvements in the mobility of one of the first patients who had agreed to give the diet a go. I figure that if worst comes to worst and I don’t get any disease benefit from this experiment, I'll lose a few pounds (I’m developing the physique of an elephant seal) and the diet will allow my body to detox. In addition, it’ll be kind of fun to take on the challenge (he says with a full belly). Besides, this will give me the perfect excuse to lay around and binge watch some cheesy 60s and 70s horror flicks (queue up “Gore Gore Girls”). For the sake of my wife, I think I’ll steer clear of any films having to do with cannibalism. I'd hate to have Karen wake up to find that she's missing a finger or two. I wonder how many calories there are in a finger? Gives a whole new meaning to the phrase "finger food". So, I expect that over the next five days I just might experience a few pangs of hunger here and there. I might even get Jewish VD (Veak and Dizzy, said with a Yiddish accent). I’ll report back at the end of every day to tell you guys how it’s going, as long as I have the strength to guide my wheelchair to the computer and put on my voice recognition headset. Of course, if I do experience any benefit, it won’t be for several months, but I’ll keep y’all apprised of all such developments (hey, I managed to affect Yiddish and southern accents all in the space of four sentences!). I plan on doing the diet for at least two or three consecutive months. I am doing the 3 day no food only water version of this and have done 2 cycles so far. I do feel different but have to say that I am a PP so changes are very difficult to interpret, imo, and because there is a healing and a rebuilding process as such therefore I 'assume' the cells we change over time will be different? The other detail is that the diet before the fast needs to be thought about, is it good or bad and is it causing issues, or a trigger in a cascade leading to issues? People like George Jelinek and Terry Wahls refuse to answer my repeated questions over the years wanting to know what they used to eat and is there something 'we' all need to hear instead of saying eat this, we need to know what not to eat from 'their' experiences. I also see that confronting the Food Industry and also Pharma has 'risks'! Nigel, should be interesting to see how your version of the fasting diet works for you. Hoping whatever we are doing will be a field benefit. Mark, I've been intermittent fasting for a couple of years now. I drop to 600 cals every other day, taking Sunday off. I did this for my slow acting digestive system and it really helps, also helps keep my weight from going up. I've heard good things about longer fasting and MS, so will be very interested to see how it affects you. Good luck. Thanks, Lindsay. When you say you take Sunday off, do you mean that you don't eat it all on Sunday, or you allow yourself to eat whatever you want? Best of luck, Marc! It sounds fascinating, not the fits of rage that might come from seeing a McDonald's commercial but the potential benefits. Thanks for being a guinea pig and sharing your experience! I was trying to find the cost, just out of curiosity. Do you have that info? I already do this, pretty much, with no visible signs of stability or improvement to my MS. I am gluten- and lactose-free. I'm a vegan. I reduced my calorie intake (and kept track with MyFitnessPal) to about 1000/day. I did this for months with no discernible difference. I am SPMS, wheelchair confined, still able to transfer (but for how long? ), dx'd 15 years ago (first 10 years were R/R). Good luck! I hope it makes a difference for you! Marc, all the best of luck and please keep us posted! Fasting Forward!! Hi Marc. I've followed your blog for a while now. I live in Sweden and I have PPMS, diagnosed in 2012. I have tried just about everything except any regular medications. I have tried the FMD too, but I became so weak I had to stop after a couple of days. I'm looking forward to follow your project. Have you heard about The Coimbra Protocol? That's what I'm trying now and you might want to look into that, it's spreading fast all over the world. There are several Facebook Groups with very dedicated administrator,. here is a link to the North American Group. And Youtube is full of encouraging videos. Good Luck! Hi, hadn't heard of the Coimbra protocol before, but just did some research on it and it does look interesting. Of course, seems like one would have to be very diligent about looking for signs of hypercalcemia, which can be deadly. That said I do know that there's been some research done with extremely high doses of forms of vitamin D, done on a limited basis, which have shown signs of altering the autoimmune cycle. GOOD LUCK, Marc! Can't wait to hear your updates. I hope it is all good! Great. Now I can vicariously take part in the fasting. I did the Swank diet the first five years after diagnosis. Not conclusive it did/didnt help. Now I just eat whatever doesn't bother my bladder. Really hope it helps you and looking forward to reading your updates. How many cycles of this are you doing and how long is the break between fasts? I've been doing intermittent fasting for two days a week for the past year. Unforch, I'm still progressing. Fasting can eff with your bowel, which is a drag if you've got a good routine going and I'm a teeny bit worried I might have given myself gallstones. Other than that, I actually enjoy the fast days and food tastes amazing when you stop fasting. Can't wait to hear how you make out. This program involves a five day fast, eating only the foods included in the kit, and then a "normal" diet for the rest of the month. Marc, sounds promising. I wish you all the best. How soon have people seen improvements? Keep us posted, please. I hope it makes you feel better! I have SPMS and I tried the Wahls diet years ago. My steady decline continued, but the kicker was meeting a fellow SPMSer who has been a lifelong vegetarian and was an organic farmer for 30 years -- and she was in worse shape than I was! So I reverted back to eating what tasted good. Aaaand... now I'm fat. 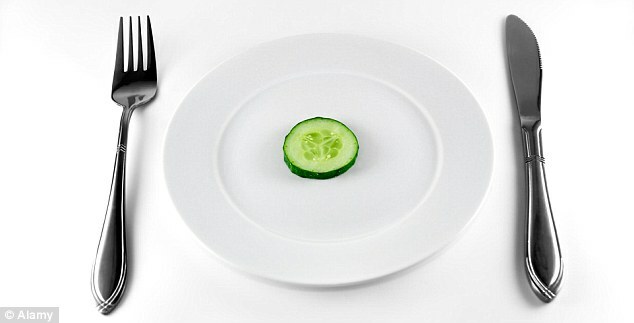 Time to diet! I tried a bunch of different diets too, and none of them made any difference whatsoever. And, as the person you met illustrates, I honestly don't believe that diet alone can significantly alter the disease, except for a few patients that may be suffering from some undiagnosed comorbidities, like celiac disease. That said, who am I to doubt the testimonies of people who say that diet has helped them dramatically? This disease is a mystery layered upon other mysteries. BTW thanks for getting the post topic into the email blog alert subject line. It will make our email folders much easier to manage. Hey David, thanks for alerting me to the email subject line fix. Glad I finally got it working.
. Marc, thank you for being guinea pig and sharing with us :-). I believe in the importance of diet, and I felt good while trying Dr. Wahls' protocol. It did not reveerse my disability but it was so easy to live, I was much more energetic and able to participate in activities. Unfortunately the food I eat now is not the one I would choose, so the energy and joy in life activities is gone. Hoping to be able to go back to Wahls' diet and even try this MFD. But I can hardly wait to read how you are doing. Hi Dragana, yes, sticking to a healthy diet is definitely a good thing. Unfortunately, it can also be a hard thing. Especially when so many of the other pleasures in life have been taken from us. I have to admit that I've allowed my diet to really become quite crappy. Guess I was drowning my sorrows in cheeseburgers and other indulgences. Hoping I can make up for that nine with this fasting diet. Good luck to you, Marc, and thanks for sharing with us. I am also a patient at IMSMP. I plan to call Dr. Bates tomorrow to see if I can try this diet also. Nelle prove Sperimentali sono stati OSSERVATI che, la Concentrazione Sierica di Vitamina D è INFERIORE durante RICADUTE di SM che nella Fase in remissione ed è associato con un maggior grado di disabilità [Expanded Disability Status Scale (EDSS) punteggio> 3]. I Risultati suggeriscono che, MINOR PRESENZA IN CIRCOLO, di concentrazioni di vitamina D ,può essere considerato un Bio-Marker della SM e Supplementi di Vitamina D possono essere utilizzati terapeuticamente. Altri Studi indicano una Correlazione Negativa tra concentrazione di Siero Vitamina B-12 e punteggio EDSS. Vitamina B-12 ha un Ruolo Fondamentale nel funzionamento del SNC, sistema nervoso centrale, cervello-cervelletto-midollo spinale, in particolare nella conversione sintasi-mediata Metionina dell'Omocisteina in Metionina, che è essenziale per il DNA e la sintesi di RNA. Pertanto, Carenza di Vitamina B-12 può portare ad un Aumento della Concentrazione di Omocisteina. Ulteriori Ricerche è chiaramente necessario per Determinare SE, il trattamento con da integratori , contenenti Vitamina B-12, Ritarda la Progressione della SM. © 2017 Società Americana per la Nutrizione. In Sintesi, anche se non è mai Troppo Tardi,i Ricercatori,che fino ad oggi, hanno cercato sempre l'ago nel pagliaio,hanno capito che bisognerebbe andare molto a monte e in parte ci stanno arrivando,con Dieta-Alimentazione ed integratori, a livello di IONI !, qui non ci sono ancora arrivati ! ! che sono tutti presenti nei prodotti marini pescati !! ove son presenti, a livello di IONI !, perché tutti già metabolizzati,a monte, dal Pesce marino pescato, TUTTI I MINERALI-OLIGELEMENTI-PLANCTON MARINO E,SE PREPARATI A TEMPERATURA DI MOLTO INFERIORE A QUELLA NOSTRA CORPOREA, RIMANGONO PRESENTI, TUTTE LE VITAMINE-AMINOACIDI !! QUINDI PERFETTO PER BLOCCARE-MIGLIORARE LA SM E PER LIMITARE-EVITARE LE RICADUTE ! ! . A costo Zero, e senza alcun effetto Collaterale-Rigetto,quanto detto sopra,son presenti nella " Mia bevanda alcalina osso seppia " e/o da altro prodotto marino pescato ! Hi Joon, good to hear from you, as always. Funny that we both did the fasting thing within a few months of each other. I read your blog piece, and it sounds like we had similar experiences. Day three was the hardest for me, but then day four and five were a breeze. I never felt dizzy or lightheaded, and the entire experience was much easier than I was expecting. I definitely felt more energetic than usual towards the end of the fast and in the days afterwards. Of course, still too soon to see if it has any positive action on my neurologic symptoms. I'm planning on doing another fast in four weeks, and then probably four weeks after that. Had a blood test done before starting this fast, and I'll have another one done after ending the next fast (the day after). That should prove interesting. Like you, I'm thinking of trying to hack this diet myself. Along with my naturopath. Thinking that Prolon is repackaging third-party items. Starting to do research on this now. I agree, though, that the way Prolon packages everything makes it extremely easy to follow this diet, and since my naturopath buys the kits in bulk I can get them for $220. Still not cheap, but within reach for now. Shoot me an email if you have any insights on the hack. Not that I want to undercut Dr. Longo and his program, but the price of the kit is too high for a lot of people struggling on disability. I really think this fast could help them. Really interested to know how your blood tests results differ, Marc! Glad you're following up with that. Hoping it brings you some symptom relief and healing. Will shoot you an e-mail later w/some ideas on hacking for folks who can't afford this program. Agree, it's out of reach for many. Also glad you got that energy boost/high! That was the best part for me. The lessening of arthritis pain was also wonderful. Jeff and I will do ProLon together this summer, and I'm hoping it might provide relief for his MS neuropathic pain. We'll see. Big, hopeful hugs. Enjoy eating real food again!!! And I love Dr Bates! Best of luck to you on this .... I'll be following!